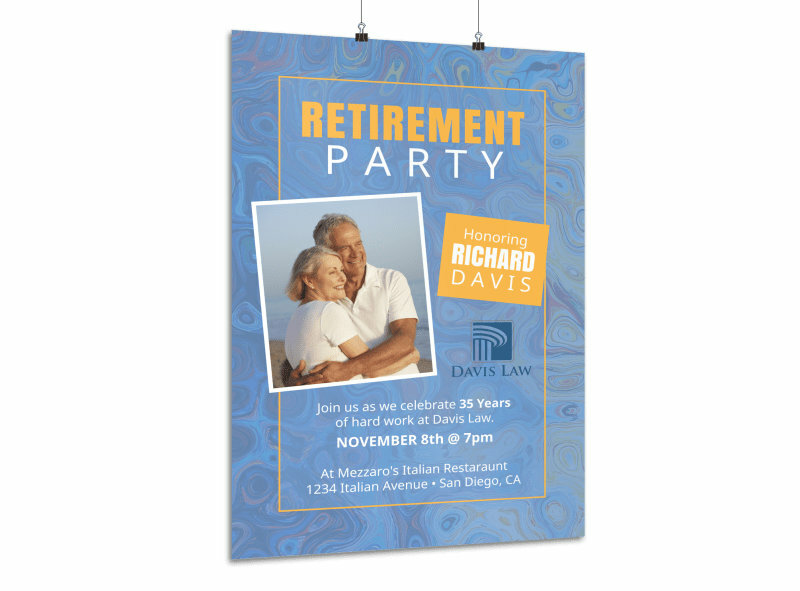 Customize our Fun Retirement Party Poster Template and more! 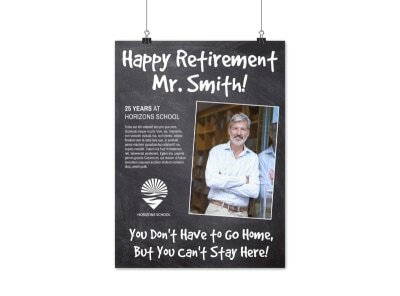 Help the future retiree go out with a bang with this fun retirement party poster that you make yourself using our online editor. Add photos of the retiree, text detailing the highs of his or her career, and other fun facts. Get busy on your design now and have it ready for your printer or ours in minutes.